Entertainment Weekly just unveiled the most anticipated villain for the upcoming box office comicbook movie The Avengers: Age of Ultron. See him after the jump. That is one badass Ultron we got there. And look all of those drones, I'm already loving it. 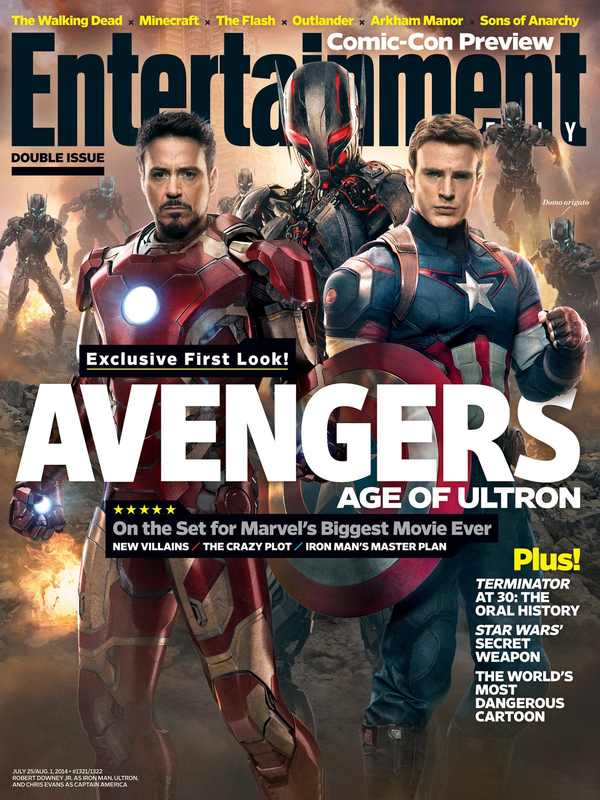 And also, is it just me or this cover kinda foreshadows a conflict between Cap and Iron Man. Do we hear "Civil War"? Opening next year, The Avengers: Age of Ultron is from Marvel Studios, to be distributed by Walt Disney Pictures.